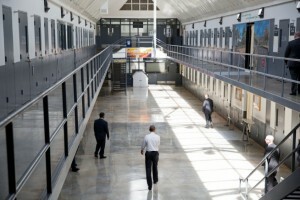 It was a first in US history: President Obama on July 16 visited the federal prison facility in El Reno, Oklahoma, a gesture that is sure to further fuel talk the debate over reforming the American justice system, especially for non-violent offenders facing long mandatory minimum sentences. This is a welcome development: the incarceration rate in the land of the free has risen seven-fold since the 1970s and is now five times Britain’s, nine times Germany’s and 14 times Japan’s. This contrast between a country of vast wealth and a huge prison population in some ways also carries over to the Caribbean. Take the paradisiac Islands of The Bahamas, with their pleasant climate, white sand beaches, clear ocean waters and palm trees. And yet, as in the U.S., this beautiful country runs a prison system that faces similar stark challenges of changing the ways prisons are run and prisoners dealt with. Last week, the country´s national authorities made a point of reminding their citizens of this reality by hosting the ninth Annual Conference of the Caribbean Heads of Corrections and Prison Services. The summit, entitled “Corrections in 2015: a Caribbean Perspective” presented efforts made by penitentiary systems in the Caribbean Region to reform themselves and looked at similar initiatives in other parts of the world. 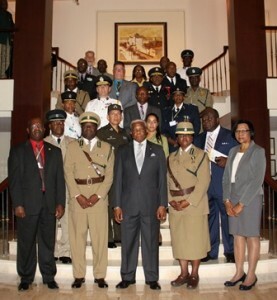 The Bahamas are actively seeking to learn from other systems around the world to gather a combined perspective of effective prison management and reform. The summit gathered representatives from more than eight Caribbean countries (Barbados, Cayman Islands, Guyana, Jamaica, the Turks and Caicos Islands, St. Lucia, St. Vincent, and Trinidad and Tobago). Also, and for the first time, the conference was attended by the directors of Central American countries, such as El Salvador and Dominican Republic, creating an additional space for dialogue and exchange of lessons learned. Indeed, the Caribbean countries showed that their perspective on corrections in 2015 emanates from a philosophical shift in the criminal justice system, from a punitive view to a focus on rehabilitation and reintegration of prisoners into society. As the Minister of National Security Dr. Bernard Nottage told us during the inaugural session of the summit, “For policymakers, correctional facilities must be seen as more than facilities to house prisoners but rather as institutions for the reform of detained persons”. This serious commitment to an institutional reform and a holistic view of the correctional system is precisely what we observed behind the prison walls of Her Majesty’s Prison during the visit to the facilities, which currently holds approximately 1,500 inmates. These inmates will be eventually released; making their successful reintegration into society a considerable public policy challenge. Experiences, from Canada and the United States, highlighted during the conference, provide evidence that most returning offenders have difficulty managing the basic elements for successful reintegration. Challenges include maintaining employment, finding a place to live, reconnecting with family members and accessing resources to fight substance abuse and mental health problems (Travis, 2001; Western, 2008; Visher, 2012). For instance, in The Bahamas, some efforts have been made to understand inmates’ views on reintegration (Minnis, et. al, 2011), however, translating those findings into actual public policy remains a work in progress. As in the American case, there are considerable savings to be obtained by conducting rational and well-structured institutional reforms to the justice and correctional systems of the Caribbean. Happily, as demonstrated recently in Nassau, the conversation among relevant decision makers has already started.